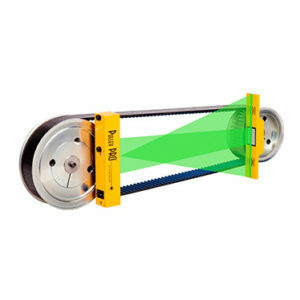 The RollCheck® Green laser alignment system for parallel roll alignment is lightweight, compact and durable. The system can be attached to just about any size roll with the supplied straps. We use our proven reflected laser beam technology for maximum angular resolution, thus providing you with the most reliable and accurate visual reading. Using the latest in Green laser diode technology makes our green laser line 10x’s brighter to the operator than a red laser line. 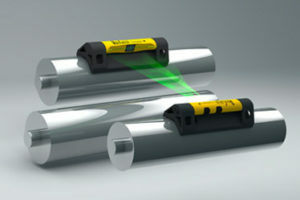 The RollCheck® MINI laser alignment system for parallel roll alignment is lightweight, compact and durable. 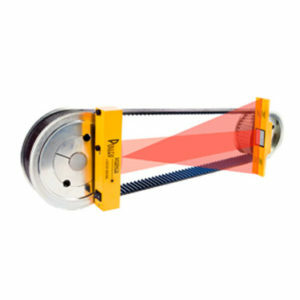 The system can be attached to a roll up to 4” (101 mm) in diameter with the supplied straps. We use our proven reflected laser beam technology for maximum angular resolution, thus providing you with the most reliable and accurate visual reading.